In addition to writing and illustrating over 60 books, Dr. Seuss attended Oxford and worked as an animator for the US Army during WWII. He won an Academy Award for one of the animated films he produced during the war. 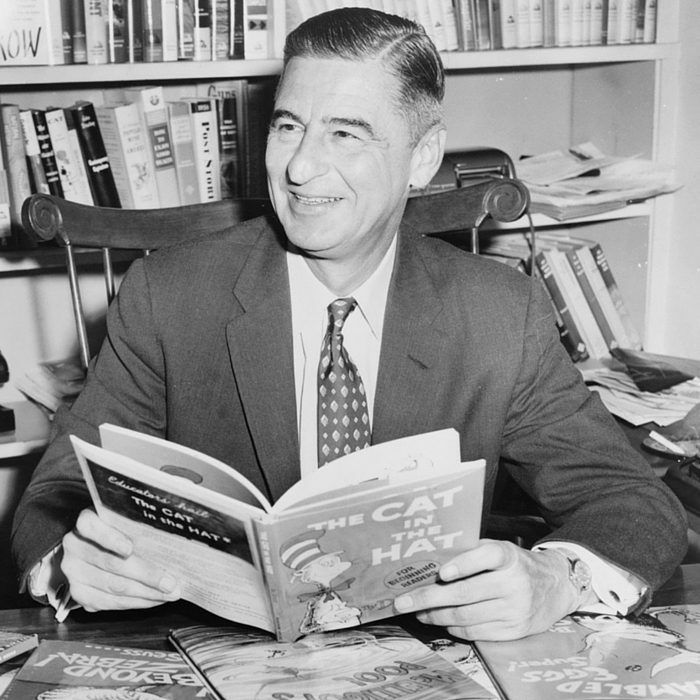 Dr. Seuss pioneered a lighthearted, rhyming, story-centered style of poetry that became hugely popular. In fact, Dr. Seuss was so successful at getting kids to read that his birthday, March 2, is now the National Read Across America Day. 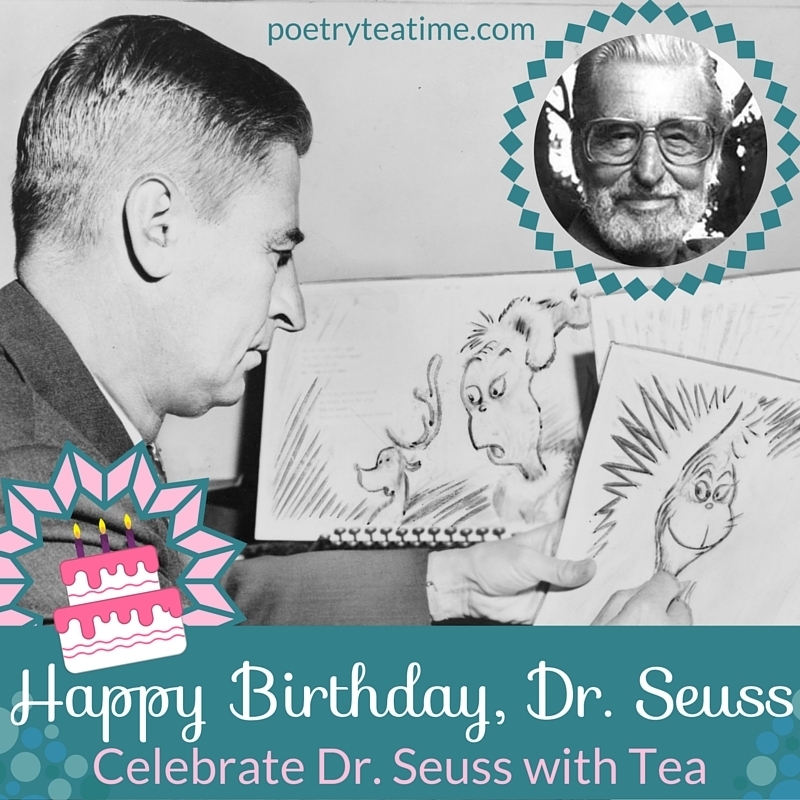 Raise a teacup to Dr. Seuss today and enjoy his work for Poetry Teatime!